Lavandin super essential oil (organic) (4 ml) + Helichrysum essential oil (organic) (2 ml) + Babassu Oil (20 ml) + Lemon eucalyptus essential oil (organic) (4 ml) + wintergreen fragr. essential oil (organic) (4 ml) + Rosemary verbenone essential oil (organic) (4 ml) + Bay Laurel essential oil (organic) (4 ml) . In an amber bottle, pour all ingredients and shake. Massage painful areas until improvement. Lavandin super essential oil (organic) (1 ml) + Roman chamomile essential oil (organic) (1 ml) + Basil exotic essential oil (organic) (1 ml) + Peppermint essential oil (organic) (1 ml) + wintergreen fragr. essential oil (organic) (1 ml) + Clove Bud essential oil (organic) (1 ml) + Jojoba Oil (organic) (50 ml) . This preparation brings a synergy of essential oils to soothe effective headache. Apply a few drops in circular massages at the temples and neck. Lavandin super essential oil (organic) (3 drops) + Coriander essential oil (organic) (3 drops) + Tarragon essential oil (6 drops) + Sweet almond oil (organic) (9 drops) + Peppermint essential oil (organic) (3 drops) + Sweet Marjoram essential oil (organic) (6 drops) . Massage the abdomen and lower back 3x/day with ten drops of the mixture. 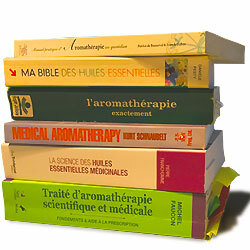 Lavandin super essential oil (organic) (4 drops) + Lemon eucalyptus essential oil (organic) (4 drops) + wintergreen fragr. essential oil (organic) (4 drops) + Bay Laurel essential oil (organic) (4 drops) + Sweet almond oil (organic) (20 drops) + Helichrysum essential oil (organic) (2 drops) + Rosemary essential oil (organic) (4 drops) . Put ice cubes in a plastic bag or washcloth and place it on the painful area. Put your hands to warm and then apply the essential oils that you pre-mixed in vegetable oil and gently massage. Renew 3x/day until improvement. Lavandin super essential oil (organic) (2 drops) + Black spruce essential oil (organic) (2 drops) + Rosemary essential oil (organic) (2 drops) + wintergreen fragr. essential oil (organic) (2 drops) + Jojoba Oil (organic) (6 drops) . Gently massage the aching area and repeat 4x/hour. Lavandin super essential oil (organic) (20 drops) + Cistus essential oil (organic) (20 drops) + Tea-tree essential oil (organic) (10 drops) . Mix the essential oils and pour them in an opaque bottle. Apply this mixture morning, afternoon and evening on the piercing. Lavandin super essential oil (organic) (1 ml) + Maritime Pine essential oil (1 ml) + wintergreen fragr. essential oil (organic) (1 ml) + Juniper essential oil (organic) (1 ml) + Solub-HE (5 ml) . In a 10-ml glass bottle of, pour the 4 essential oils and solub-he. In the hot bathwater, pour 8 to 10 drops of this mixture. Stir well to ensure that essential oils are well dispersed in the bath. Lavandin super essential oil (organic) (10 ml) + Maritime Pine essential oil (10 ml) + wintergreen fragr. essential oil (organic) (10 ml) + Juniper essential oil (organic) (10 ml) + Perfume free Hair & Body Liquid Soap (12 ml) . Mix essential oils with a neutral base and pour the mixture into the hot bath (38°C) and relax for twenty minutes. Repeat this once a day every day until improvement. Lavandin super essential oil (organic) (1 ml) + Lemon eucalyptus essential oil (organic) (1 ml) + Rosemary essential oil (organic) (0.5 ml) + Bay Laurel essential oil (organic) (1 ml) + wintergreen fragr. essential oil (organic) (1 ml) + Helichrysum essential oil (organic) (1 ml) + Arnica macerate (organic) (40 ml) . In a 50-ml bottle, pour essential oils and the macerated arnica. Apply a few drops of this mixture in a light massage 2 to 3 times a day. Lavandin super essential oil (organic) (1 ml) + Ledum essential oil (organic) (1 ml) + Lavender essential oil (organic) (1 ml) + Ravintsara essential oil (organic) (1 ml) + Sweet Marjoram essential oil (organic) (1 ml) + Mandarin green essential oil (1 ml) + Sweet almond oil (organic) (25 ml) . This preparation is for use in massage (chest, sole of the feet) 3 times a day (including friction for 10 minutes before bedtime). You may add verbena essential oil (0.5 ml) to further improve synergy. Lavandin super essential oil (organic) (2 drops) + Lemon eucalyptus essential oil (organic) (2 drops) + wintergreen fragr. essential oil (organic) (2 drops) + Helichrysum essential oil (organic) (2 drops) + Evening Primrose Seed Oil (organic) (10 drops) + Field Mint essential oil organic (2 drops) + Rosemary essential oil (organic) (2 drops) . Mix essential oils and, for 7 days, massage the lower back 3x/day. Lavandin super essential oil (organic) (20 drops) + Tea-tree essential oil (organic) (10 drops) + Cistus essential oil (organic) (20 drops) + Macadamianut Oil (organic) (2 ml) . Rinse the wound thoroughly with soap and water. Mix oils and apply to the wound. If the surface of the wound is very small, only apply essential oils (2 or 3 drops). 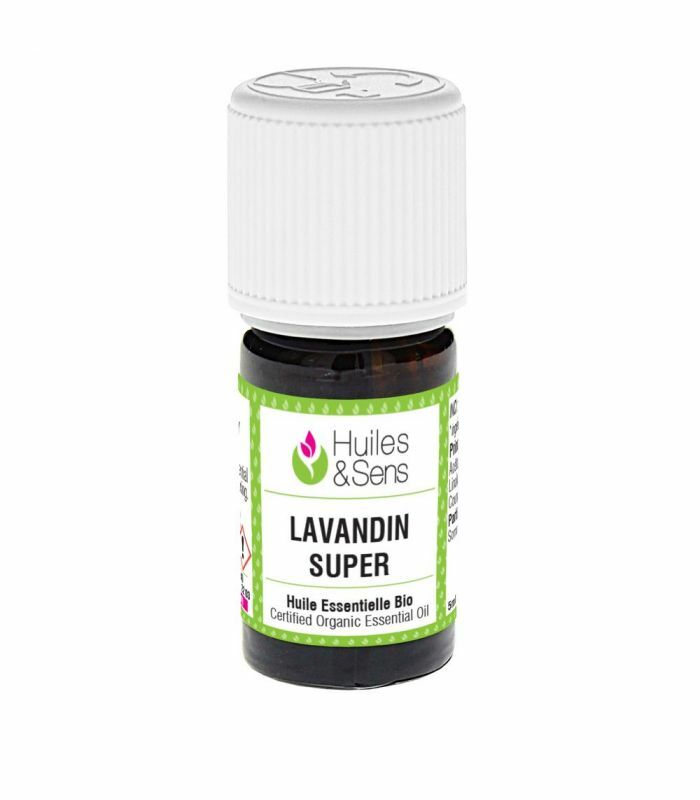 Lavandin super essential oil (organic) (1 ml) + Tea-tree essential oil (organic) (0.5 ml) + Cistus essential oil (organic) (1 ml) + Calophyllum Oil (organic) (20 ml) . Apply a few drops of this blend essential oils / vegetable oil on (the) wound(s). Repeat up to 5 times a day if necessary. See also at 'injury' and/or 'burning'.